The word that came to Jeremiah from the LORD in the days of King Jehoiakim son of Josiah of Judah: Go to the house of the Rechabites, and speak with them, and bring them to the house of the LORD, into one of the chambers; then offer them wine to drink. So I took Jaazaniah son of Jeremiah son of Habazziniah, and his brothers, and all his sons, and the whole house of the Rechabites. I brought them to the house of the LORD into the chamber of the sons of Hanan son of Igdaliah, the man of God, which was near the chamber of the officials, above the chamber of Maaseiah son of Shallum, keeper of the threshold. Then I set before the Rechabites pitchers full of wine, and cups; and I said to them, "Have some wine." But they answered, "We will drink no wine, for our ancestor Jonadab son of Rechab commanded us, 'You shall never drink wine, neither you nor your children; nor shall you ever build a house, or sow seed; nor shall you plant a vineyard, or even own one; but you shall live in tents all your days, that you may live many days in the land where you reside.' We have obeyed the charge of our ancestor Jonadab son of Rechab in all that he commanded us, to drink no wine all our days, ourselves, our wives, our sons, or our daughters, and not to build houses to live in. We have no vineyard or field or seed; but we have lived in tents, and have obeyed and done all that our ancestor Jonadab commanded us. But when King Nebuchadrezzar of Babylon came up against the land, we said, 'Come, and let us go to Jerusalem for fear of the army of the Chaldeans and the army of the Arameans.' That is why we are living in Jerusalem." Then the word of the LORD came to Jeremiah: Thus says the LORD of hosts, the God of Israel: Go and say to the people of Judah and the inhabitants of Jerusalem, Can you not learn a lesson and obey my words? says the LORD. The command has been carried out that Jonadab son of Rechab gave to his descendants to drink no wine; and they drink none to this day, for they have obeyed their ancestor's command. But I myself have spoken to you persistently, and you have not obeyed me. I have sent to you all my servants the prophets, sending them persistently, saying, 'Turn now everyone of you from your evil way, and amend your doings, and do not go after other gods to serve them, and then you shall live in the land that I gave to you and your ancestors.' But you did not incline your ear or obey me. The descendants of Jonadab son of Rechab have carried out the command that their ancestor gave them, but this people has not obeyed me. Therefore, thus says the LORD, the God of hosts, the God of Israel: I am going to bring on Judah and on all the inhabitants of Jerusalem every disaster that I have pronounced against them; because I have spoken to them and they have not listened, I have called to them and they have not answered. But to the house of the Rechabites Jeremiah said: Thus says the LORD of hosts, the God of Israel: Because you have obeyed the command of your ancestor Jonadab, and kept all his precepts, and done all that he commanded you, therefore thus says the LORD of hosts, the God of Israel: Jonadab son of Rechab shall not lack a descendant to stand before me for all time. Then Jesus went about all the cities and villages, teaching in their synagogues, and proclaiming the good news of the kingdom, and curing every disease and every sickness. When he saw the crowds, he had compassion for them, because they were harassed and helpless, like sheep without a shepherd. Then he said to his disciples, "The harvest is plentiful, but the laborers are few; therefore ask the Lord of the harvest to send out laborers into his harvest." Then Jesus summoned his twelve disciples and gave them authority over unclean spirits, to cast them out, and to cure every disease and every sickness. 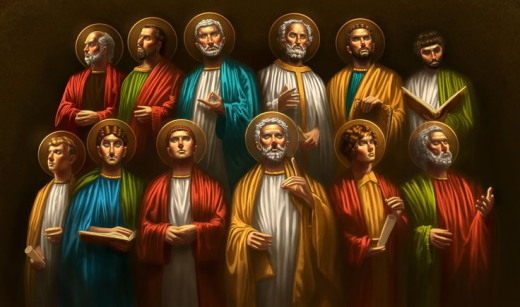 These are the names of the twelve apostles: first, Simon, also known as Peter, and his brother Andrew; James son of Zebedee, and his brother John; Philip and Bartholomew; Thomas and Matthew the tax collector; James son of Alphaeus, and Thaddaeus; Simon the Cananaean, and Judas Iscariot, the one who betrayed him. Morning Devotions with Cap'n Kenny - Come and See! "Come and see a man who told me everything I ever did! Could he possibly be the Messiah?" Never underestimate the power of a changed life. Perezoso, ¿hasta cuándo has de dormir? [...] Así vendrá tu necesidad como caminante, y tu pobreza como hombre armado. ¿Tú necesitas un jefe para trabajar y hacer las cosas con excelencia? Si eres ese tipo de persona que le cuesta ser activo y cumplir con sus obligaciones, piensa que Dios te está observando y no hay nada más gratificante que todo lo que hagamos lo hagamos como para el Señor. She hadn’t laughed for nearly two years, ever since her father’s tragic death in August, 2009. Even though she still liked sports and talking with her friends, Ruth’s eyes didn’t shine anymore, like other teenagers. And she never returned their laughter. Never again, Ruth thought, would she feel the joy she once had, before her father was killed. A fourteen-year-old girl at the time, she still believed two years later that she was to blame for the murder of her father, a well-known church leader in eastern Colombia. But God turned things around for Ruth in July, when she was one of thirty widows’ children invited to an “orphan encounter” camp sponsored by Open Doors for children and teenagers from six different regions of Colombia. For three days, God used counselors to confront Ruth with the reality of her pain and start her on the path of healing. RESPONSE: Today I will recognize that I am also valuable to God who loves me. If any member of the community sins unintentionally and does what is forbidden in any of the LORD’s commands, when they realize their guilt and the sin they have committed becomes known, they must bring as their offering for the sin they committed a female goat without defect. 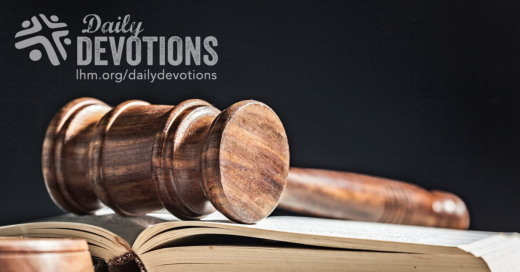 LHM Daily Devotion - October 14, 2017 "One Wonders Why"
For a pastor, invocations are a way of life. Invocations are the way Sunday worship begins. There are invocations at Baptisms, weddings, confirmations, and funerals. Invocations are expected at graduations and installations and meetings. Although these events differ, they all begin by asking for a blessing. Now you don't have to take my word for it. Good, old Merriam Webster defines the word "invocation" this way: "the act or process of petitioning for help or support; specifically, often capitalized: a prayer of entreaty (as at the beginning of a service of worship)." Now if you understand that definition, you will also understand why Florida's Brevard County Commissioner said no to David Williamson when he offered to give the invocation at their meeting. Understand, it wasn't that the commissioners didn't like Williamson; they just didn't understand why an atheist would want to give an invocation. To Williamson's request the commissioners basically said we want our invocations given by folks who believe in God, and they passed a resolution to that effect. It was a resolution which generated a lawsuit. And, now, the lawsuit has generated a decision. The U.S. District Court for the Middle District of Florida said it was unlawful for the board to limit who would give invocations at their meetings. The official rendering was this: "the County is attempting to require that God be mentioned in invocations by limiting the sphere of invocation givers to those who believe -- or who the County thinks believe -- in one God. This practice cannot be squared with controlling precedent, and the County's invocation practice cannot be defended based on a 'religiosity' requirement." The County Commissioners have told Mr. Williamson he is free to give an invocation. Now I don't know what Mr. Williamson's invocation will sound like. Even as it was difficult for me to imagine why an atheist would want to try and give an invocation in the first place, it is even more difficult for me to imagine what he might say. It is my hope he is respectful of the occasion and our Lord. That is my hope because the Lord does not appreciate anyone diminishing Him or the work which He has done to save us. To rescue us from sin, death, and Satan, the Lord sacrificed His only Son. It was an unprecedented act of grace and love, which cost Him dearly. For that reason, He does not take kindly to individuals or nations who try to lessen that act. As our text for today warns: "Do not be deceived: God is not mocked, for whatever one sows, that will he also reap." And, just a thought, those aren't bad words to include as part of an invocation. 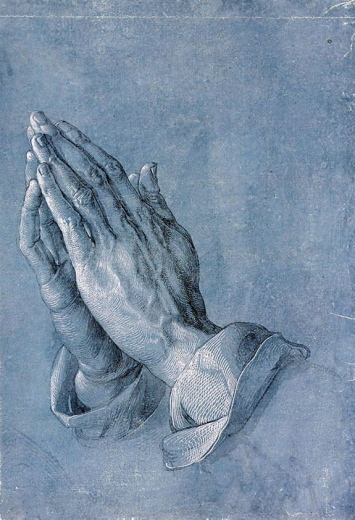 THE PRAYER: Dear Lord, how sad and foolish unbelievers must appear to You. You have done all which is necessary to rescue them, and still they try to convince themselves You don't exist and the Savior is a myth. Turn their hearts to the Redeemer and away from any desire to ignore and insult You. In Jesus' Name I ask it. Amen.